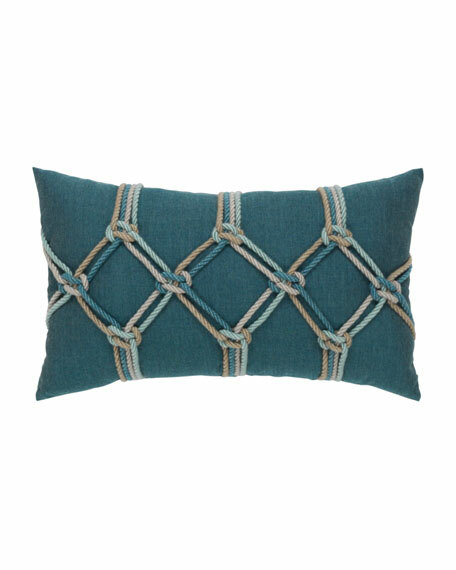 Elaine Smith Lagoon Rope Lumbar Pillow, 12" x 20"
Inconceivably Outdoor®Indoor Luxury, Outdoor durability. Luxurious "Faux Down" outdoor safe insert included. 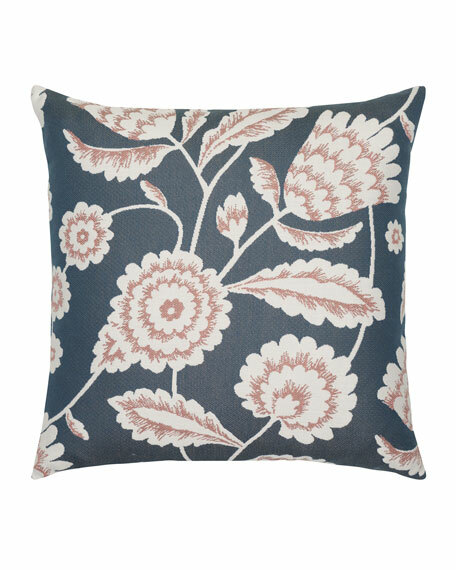 Handcrafted decorative pillow made from solution-dyed Sunbrella® acrylic fabric. Stain, fade and water resistant. 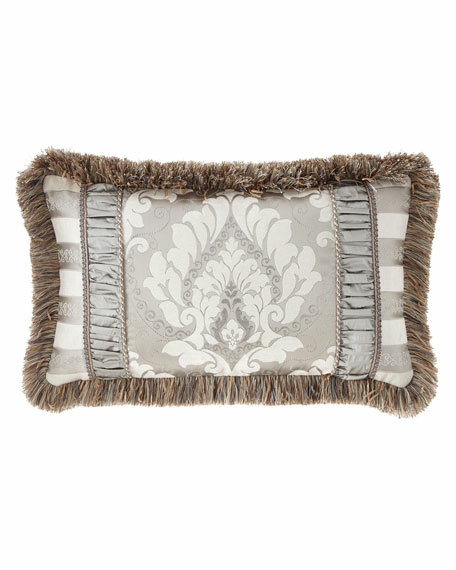 Sealed insert of weather-resistant, faux down fiber. Indoor/outdoor use. Machine wash cold, air dry. 22" square. Machine wash.Made in the USA. 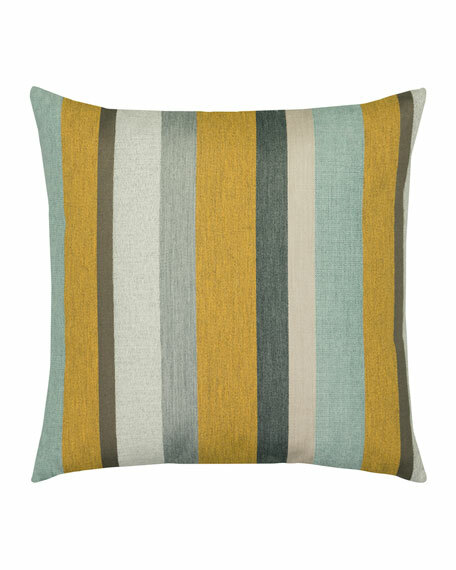 Handcrafted, decorative pillow made from solution-dyed Sunbrella® acrylic fabric. Stain, fade and water resistant. Hidden zip closure. Indoor/outdoor use. 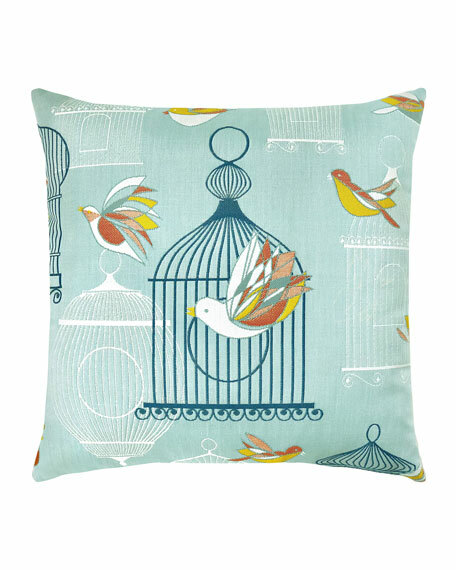 Sealed insert of weather-resistant, faux down fiber (polyester). Machine wash cold, air dry. 20" square. Made in the USA.